What was once an area known for shipping and warehouses is now a go-to spot for tourists and locals. As a matter of fact, you can’t even tell that back in the day this area was meant for industrial purposes. It is now home to many thriving businesses. There’s even a luxury hotel right next to a brand new park that overlooks the Manhattan skyline. 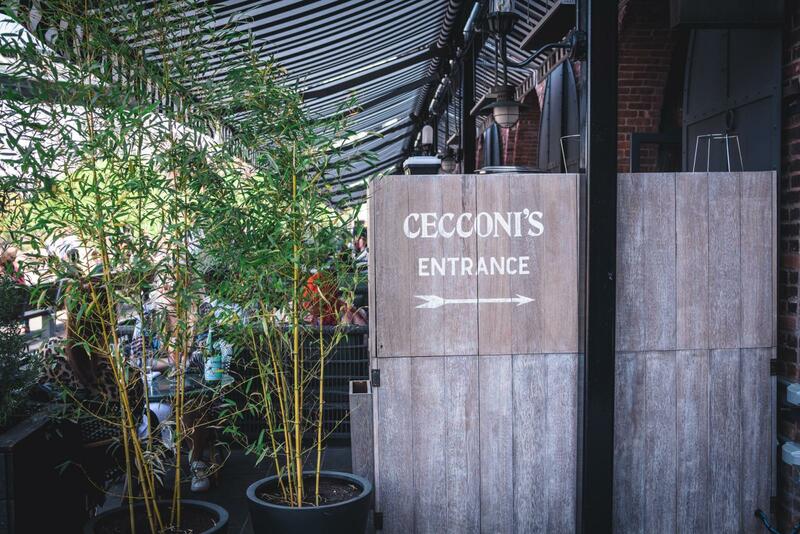 Today you’ll find tree-lined streets, historic brownstone houses, breathtaking views of Lower Manhattan and super-stylish lofts in disused industrial areas at the foot of the Brooklyn and Manhattan Bridges. This mix gives this Brooklyn area its special charm. With its new look, there are many things to do in DUMBO. Getting to this Brooklyn neighborhood is pretty easy and convenient. Theres two major train stations in the area that’ll drop you off in two different spots in DUMBO. You can take the F train to York Street and you can also take the AC train to High St. From here you’ll have access to the beautiful neighborhood. Even though it’s relatively small, there are a lot of things to do in DUMBO. Cobblestone roads, new luxury buildings mixed with buildings that have been here forever and warehouses gives DUMBO a very unique vibe. Here, you’ll find coffee shops, restaurants and arguably one of the best parks in all of NYC. It might be a pretty small area, but theres tons of things to do in DUMBO. If you have more time to spend here, we suggest these things to do in DUMBO. Yes, you can walk across the Brooklyn Bridge. But, if you want to avoid hordes of people entirely, try walking across the Manhattan Bridge. You’ll get the same views and even get a view of the Brooklyn Bridge. Also, you’ll end up in Chinatown where you can enjoy that neighborhood and some really good eats. During summer months in DUMBO, the city provides free movies at the Brooklyn Bridge Park. We suggest getting to the park two hours before the movie starts so you can claim your spot on the green space. Bring a blanket and some food for maximum comfortability. There’s this one spot in the neighborhood where tourists (and some locals) flock to. You won’t miss it because there will always be people taking pictures in the middle of the street here. The famous background is located on Washington Street between Plymouth and Front Street. You’ll have the Manhattan Bridge and in between the bridge’s pillars, right smack dab in the middle, off in the distance, is the Empire State Building. It’s arguably Brooklyn’s most instagrammable shot. If you want to be the only person in your photo, we suggest going at sunrise. We bet you never thought that one of the best things to do in DUMBO is to visit a gym. First off, this is an iconic gym and is very sacred within the boxing community. If you can think of a hall of fame boxer, they’ve most likely stopped by this gym to work out. Once strictly for fighters, the gym has opened up its doors to the public. It has a no nonsense vibe to it, but the staff are very accommodating and friendly. Ever heard of Cassius Clay? What about Muhammad Ali? It’s the same person. He trained here from time to time during his reign as the heavyweight king of the world. The archway forms a tunnel beneath the Manhattan Bridge. Here, there are picnic tables and sometimes food vendors will serve their product here. In the summer, you’ll sometimes see small concerts and just lots of people having a good time. This brand new luxury hotel is located right in between the Brooklyn Bridge and Manhattan Bridge and overlooks Brooklyn Bridge Park and the lower Manhattan Skyline. Their rooftop is even better. There’s a pool, a small seating area and a bar. In the summer, this place is packed to capacity. You might even see celebrities here once in a while. To learn more about the hotel, please read our article here. One of the things to do in DUMBO is to experience it during or after a snowstorm. We obviously recommend the latter, but if you are feeling ambitious, you should go when the snow is falling (just be careful and always be aware of your surroundings). Like we mentioned before, the neighborhood itself is not that big compared to other areas in NYC. For its size however, there’s a lot of options when it comes to shopping. There’s a lot of things to do in DUMBO and shopping in this Brooklyn neighborhood is one of them. Here’s a few of our favorite spots. The Front General Store (143 Front Street) is a very unique vintage store as they source pieces from all over the world, mainly from Europe and Japan. You’ll have a versatile set of choices from shoes, clothing to accessories, everything is here. It’s a small cramped shop, but the cozy atmosphere keeps you around. Scotch and Soda is probably the only mainstream store in the area, for now. 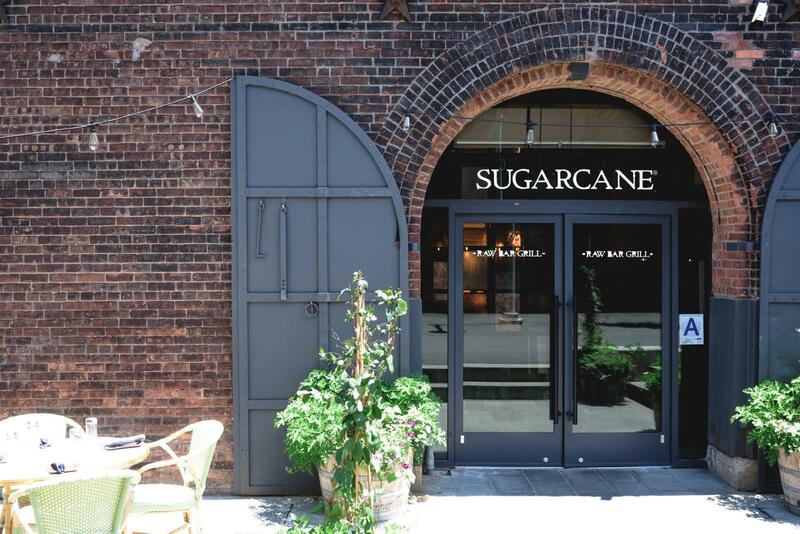 Located at 76 Front Street, Scotch and Soda in DUMBO offers stylish apparel for men and women. It’s a fashionable brand that is popular in Europe as well. Jacques Torres Chocolate and Ice Cream is a popular shop in DUMBO. As a matter of fact, Chef Jacques Torres is nicknamed Mr. Chocolate. He’s a big deal within the food industry. If you want to get someone a gift or you just want to have your fix, we recommend visiting this store. It’s located at 66 Water Street in DUMBO. A very special shop with an integrated café is the West Elm Market (50 Washington Street). Here, you will find souvenirs, creative decorations and houseware from Brooklyn. When it comes to groceries, You have lots of options. There’s a bunch of delis on Jay Street. If you keep venturing into DUMBO, there are these two stores called Foragers Market and Peas & Pickles. You can’t go wrong with either one. The Brooklyn Historical Society Museum tells the story of Brooklyn. 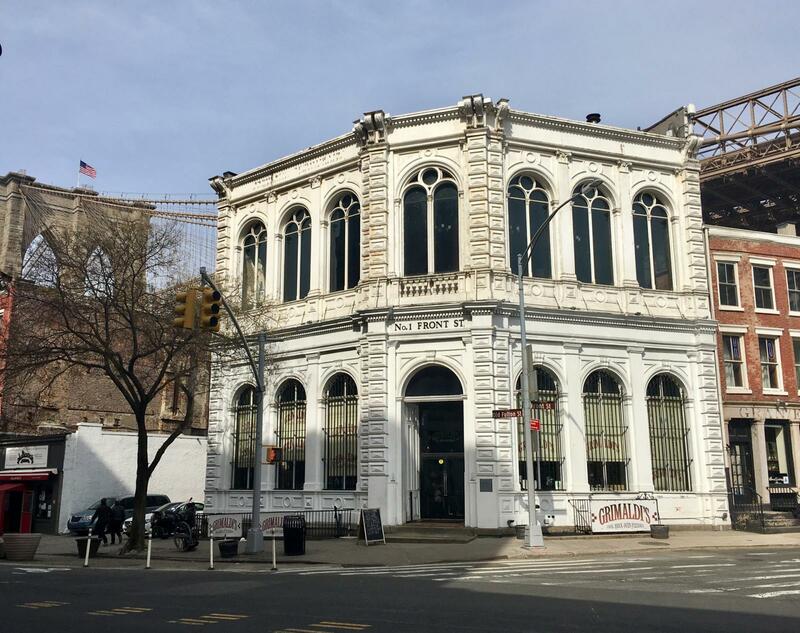 Located in DUMBO and founded in 1863, which was recently renovated, this exhibit invites its visitors to the”Queen Anne Style” building (British architectural style). The well-stocked library, interesting photographs, vintage landscape maps and newspapers explains the history of Brooklyn. The institution provides a very good overview of the past. The museum is located in the Empire Stores. Owners of the New York Pass have free entry here. MINUS SPACE is an art gallery located right next to West Elm at 16 Main Street. Their exhibition features and specializes in reductive and abstract art. This gallery which stand for Artists in Residence in DUMBO was founded in 1972 and is the first all-female gallery in The United States. The main goal of A.I.R. was to provide female artists a permanent space to showcase their commercial work especially in a male dominated industry. 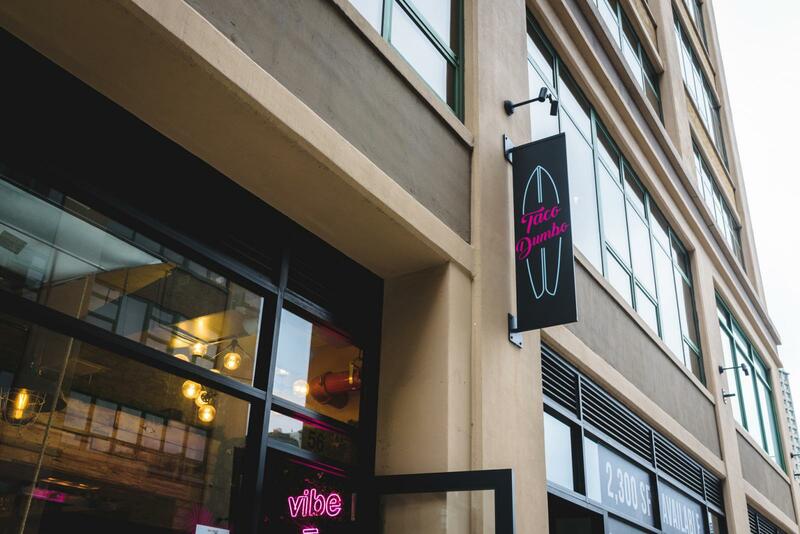 To learn more about the space, please visit their website here. DUMBO is full of great art galleries. Here are just a few more that we recommend. New apartment buildings are currently being built in this area. It has definitely turned into a luxury area. We would probably compare it to a miniature version of Tribeca. With two accessible bridges and the Brooklyn Bridge Park, it’s a perfect place for young professionals and young families. The area is pretty expensive as well. Right next to the 1 Hotel are luxury apartments that have arguably one of the best views in the city. If you can afford to live or even stay here, you’re one lucky person. You’ll have everything you need. If you plan on visiting NYC and have the budget we definitely recommend staying in this area. Train stations are nearby and the two bridges can either bring you to the Wall Street area or Chinatown. Here are some of our favorite hotels in the area. Theres a lot of things to do in DUMBO, but that doesn’t mean you shouldn’t check out the surrounding neighborhoods as well. Park Slope is only a few stops away when you take the F line from York Street. This neighborhood has a different atmosphere than DUMBO and has gone through gentrification. Another area we recommend checking out is Lower Manhattan and Chinatown. These two neighborhoods are just right across the Brooklyn Bridge and the Manhattan Bridge, respectively. Let us know which neighborhoods you prefer in the comments section and we hope this guide as helped you!